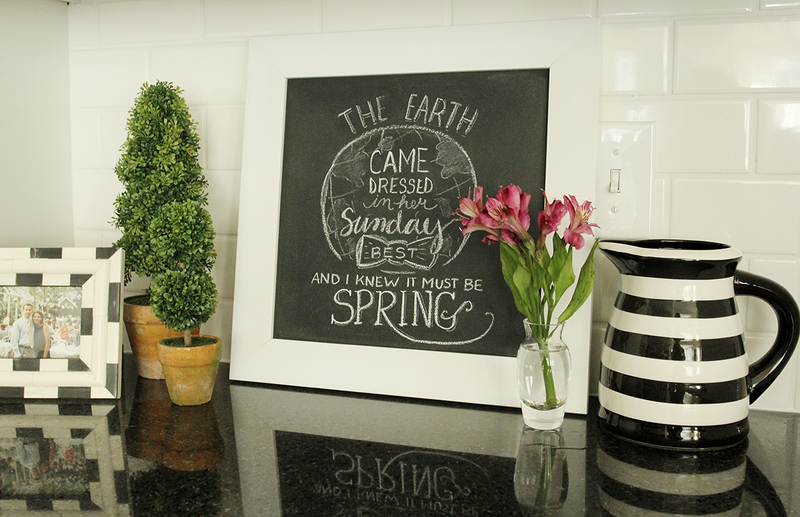 New Spring Chalk Art and a Free Printable! I did this one in the spot where I set up the cocoa bar forthe winter. And now, with the boxwoods, flowers, and the newchalkboard, it’s suddenly all spring! 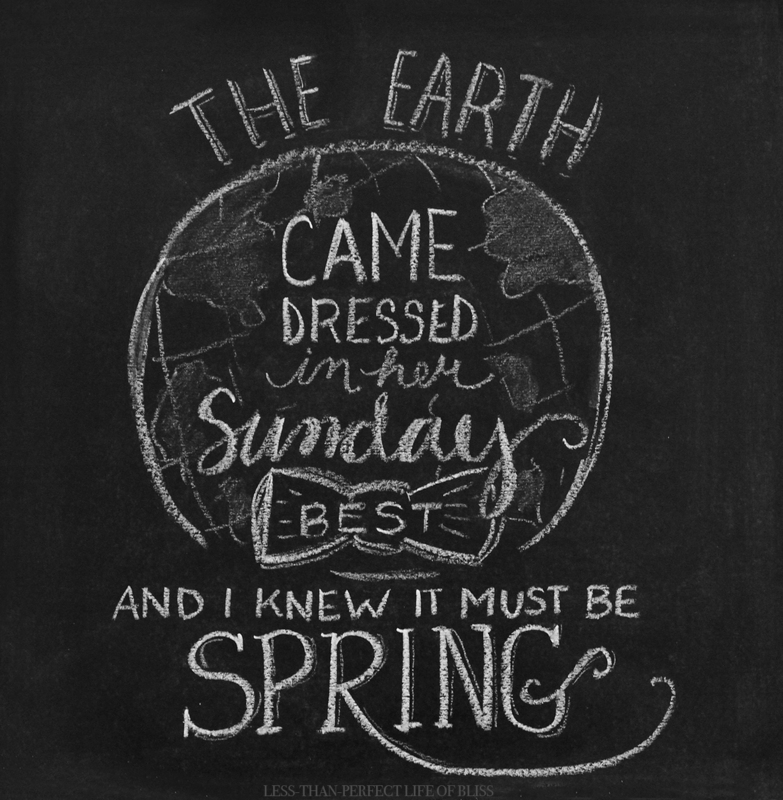 If your houseneeds a little touch of spring, here’s the free printable you can download here. 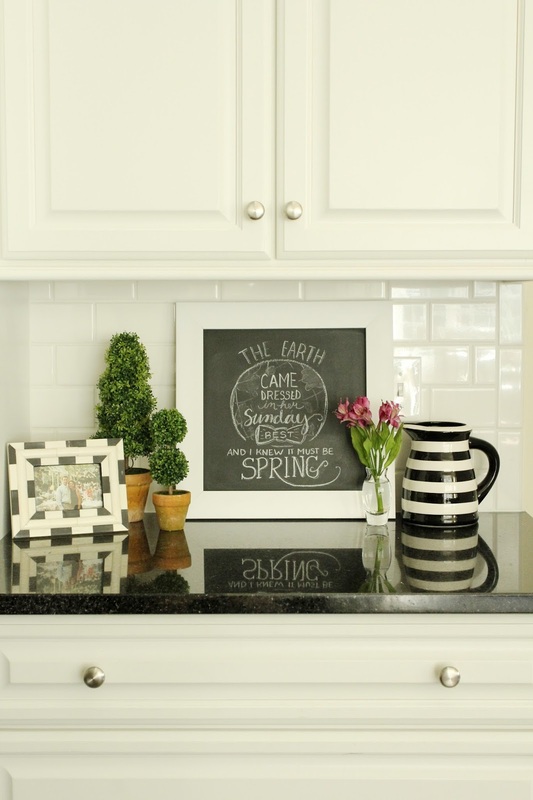 More spring inspiration can be found here! 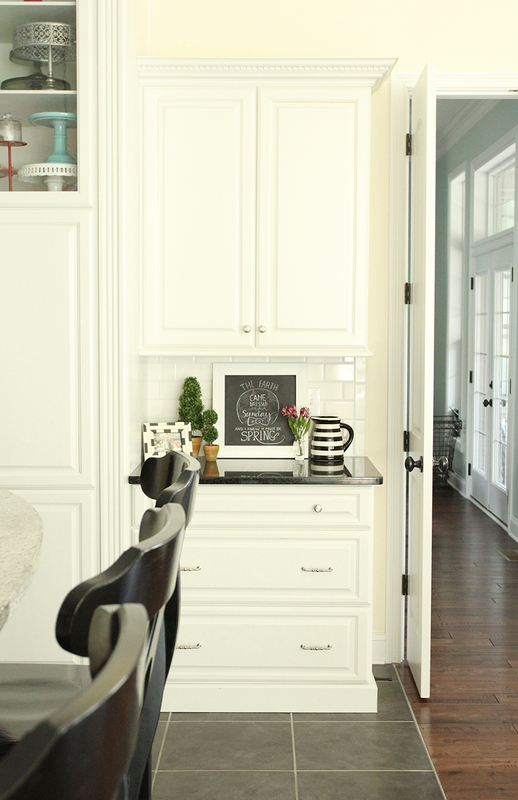 This entry was posted in Uncategorized and tagged Chalkboards, Decorating, Free Printables, Kitchen, Spring. Bookmark the permalink. Follow any comments here with the RSS feed for this post. Post a comment or leave a trackback: Trackback URL. Thank you 🙂 I do practice a lot & have been chalking for several years. I think that's the best tip. But, I've also learned some great tips from Valerie McKeeehan's Complete Book of Chalk Lettering!